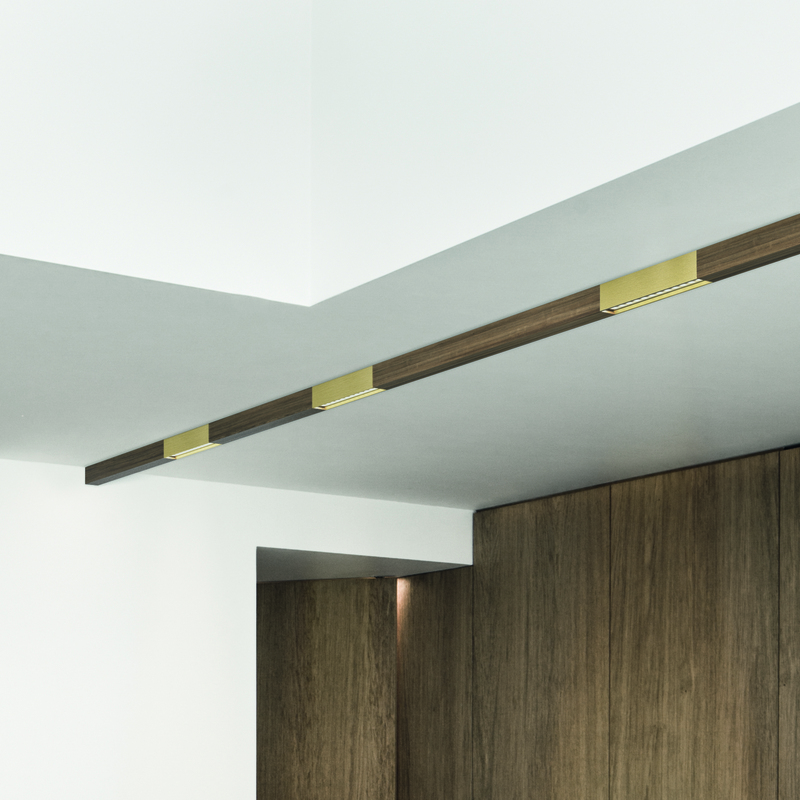 Bloc is a new way of thinking integrated light. 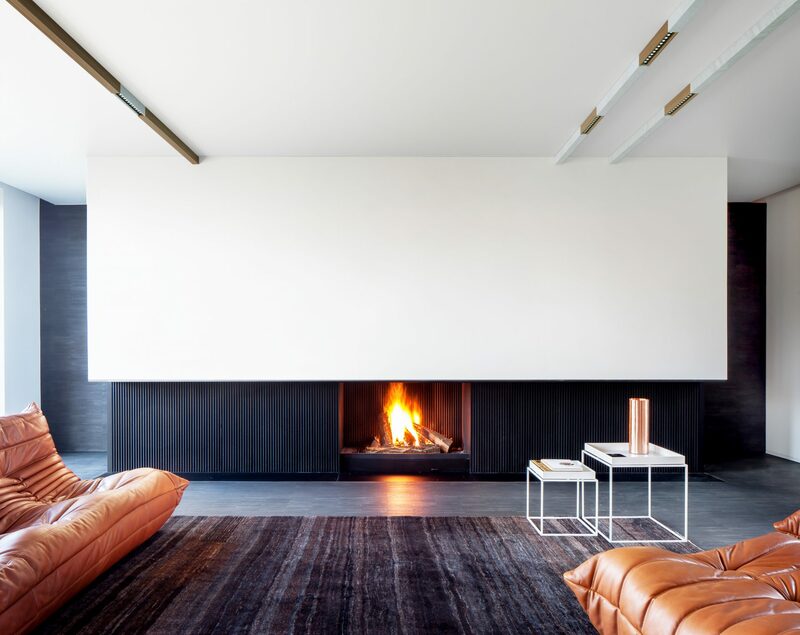 Choose between several fixtures and add your choice of natural materials such as marble, wood, brass or even a material of your choice to suit your unique style requirements. We noticed that in the lighting industry, the colors black and white are predominant, certainly for linear lighting. This inspired us to create an alternative. We did not want to limit ourselves to using just one single material, we wanted to push the boundaries and explore the use of diverse materials. We had a sleek design in mind, easy to install, modular and without visible fastening elements. In order to be able to transfer the electricity to the various light fittings, a standard track was chosen. The blocks are attached to it with either clips and/or adaptors. The biggest challenge was to align the various materials, each with their unique characteristics. It was important for us to work with authentic, qualitative materials – no imitations and to source locally. The seemingly simple form conceals complexity and refinement. 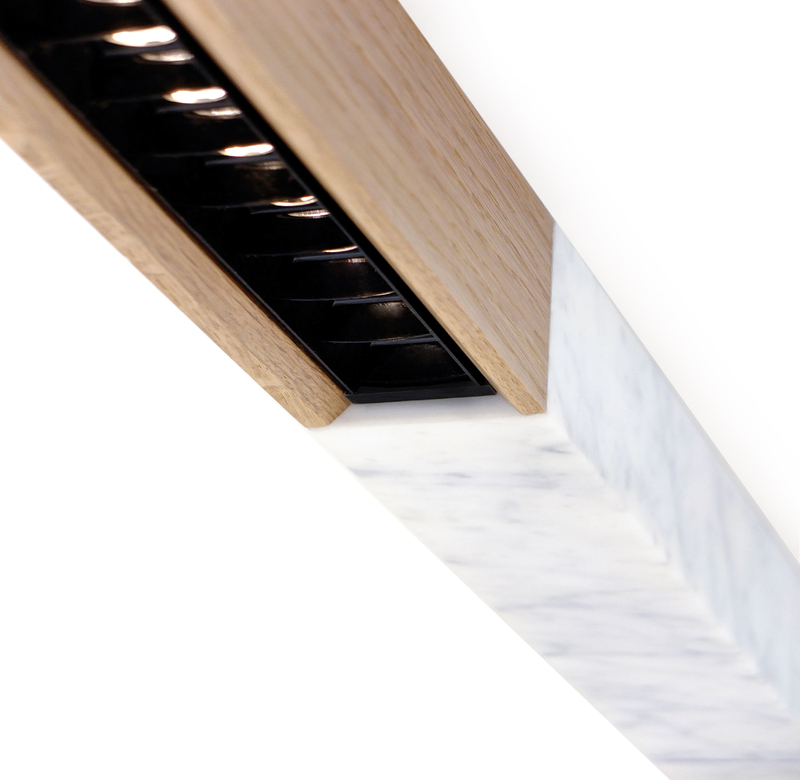 Milling of marble components is done with utmost precision at a standard you’d usually expect from metalworks. 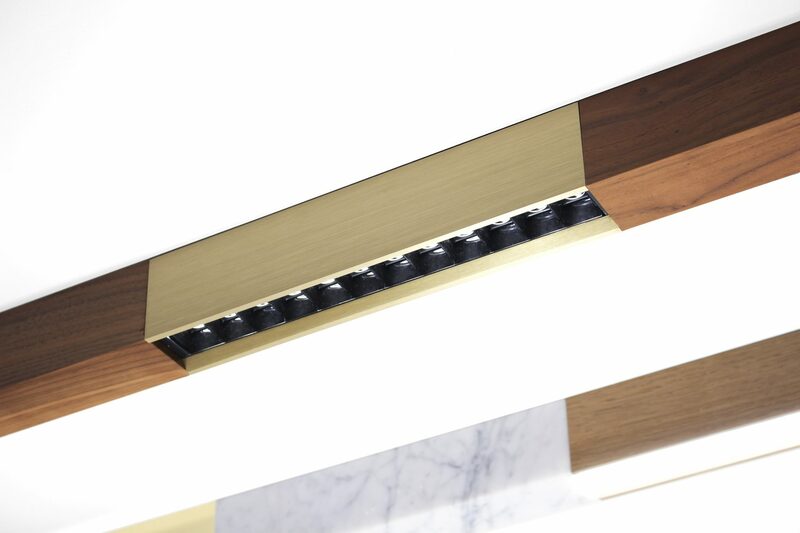 To release this intricate piece of lighting design into the world, it has taken us 2.5 years, collaboration with over ten different suppliers and exceptional craftsmanship. 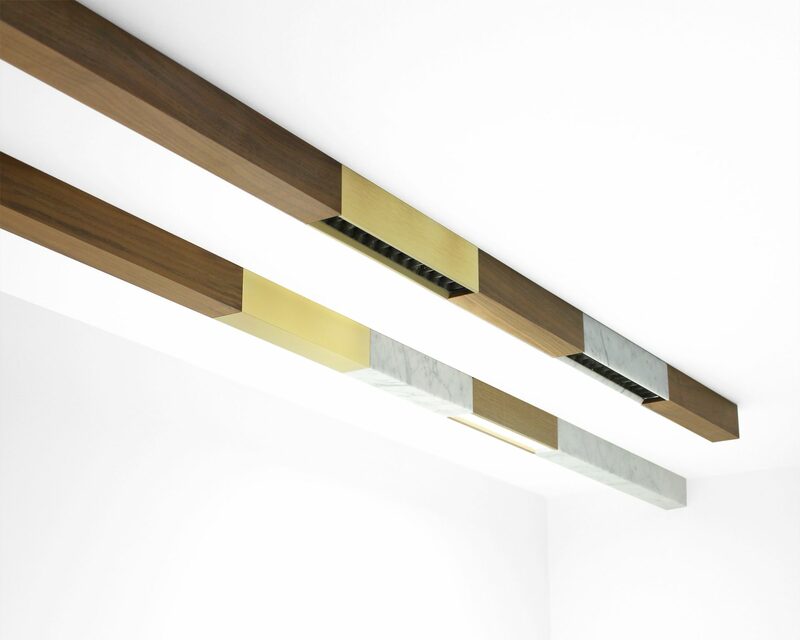 With Bloc, we have pioneered a solution that creates the freedom to combine diverse luxurious materials in a high-end linear lighting design.